We all judge. We can’t help it. It’s a form of self-preservation. When someone else is fatter, dumber, paler, weaker, or less talented, we identify those traits, whether aloud or in private, and then we experience emotional relief. Face it: No matter how good or thoughtful or righteous we are, everyone judges. What differentiates us is whether we can stop ourselves from believing that our petty judgments matter. Do we think the criticism and feel shame, or do we think it and feel superior? I learned some news today that shocked me. Back in 2005, someone I had lost touch with twenty-five years ago died, and I never managed to unearth the details that had led to his death. Until today, when the story of this friend’s life dropped in my lap, leaving me stunned and surprised and more than a little bit guilty. You see, I had been a terrible friend not to keep up with him, and a worse friend for underestimating his potential in life. I had formed some idea of who this man was, but it turns out I never knew him at all. I went to high school with him. In those days, I was a nerdy brain and he was a stoner. He was a quiet, friendly guy with long hair and glasses. We weren’t in many classes together, but we crossed paths when I dabbled in hobby shop gaming. The dynamics of high school made it easy to judge: You are not in my honors classes, therefore you must not be smart. You smoke pot, therefore you must lack ambition. To be absolutely honest, he wasn’t all that attractive, either, but then neither was I. While I busied myself with ignoring and judging him, he applied to and got into the same small, exclusive university I did. I’m not sure I even knew that until he popped up as a peripheral friend of my college boyfriend. I paid him little attention during those four years of university; I never registered that he majored in English, a department in which I, too, should have been. I married and moved to Charlottesville, Virginia, where the boyfriend-now-husband entered law school. At some point this fellow, whom I had long judged as aimless, turned up at UVa to study for a master’s degree in English. We hung with him sometimes, did lots of outdoorsy stuff. Hiking the Blue Ridge Mountains at midnight. Watching beavers build dams by the light of the moon. Cooking supper in a discarded claw footed bathtub on the farm he rented. I grew fond of this friend, yet all these years later I don’t remember talking to him about his ambitions. He seemed happy just hanging out on the farm, smoking weed and philosophizing. We left Virginia in 1990, moved across the country, and never heard from him again. I have no idea why; perhaps because there was no internet when we parted ways. The husband and I moved two other times, and along came the children. Life got complicated. Then, in 2005, our alumni magazine posted the friend’s obituary. I read the news with dismay. It gave no details, no location, no reason for his death at 40 years of age. I searched the internet and came up empty handed . . . until today, when the ex-husband forwarded me a story about our deceased friend. Apparently, our friend earned his Masters and taught English at UVa for a couple of years, at which point he turned up at Stanford Law School. He summer clerked for the Sierra Club in Alaska, where he began to get to know the indigenous people and their issues. He completed his law degree in 1995 and moved to Alaska, where he went on to become a highly-regarded indigenous peoples’ rights attorney. There he won a case against proponents of establishing English as the official state language. He protected the hunting and fishing rights of Native Alaskans, received professional accolades, and was beloved by his clients. And then he “died after a short illness,” the details of which still elude me. Regardless of the manner of his untimely death, I am left with a deep burden of guilt. I judged a young man from the age of 15 on, completely underestimating the brilliance he possessed. The signs were always there, but I never took the time to acknowledge them. I never explored his mind deeper. I made assumptions based on appearances, and determined that I knew everything about him worth knowing. Which of us was the superior person? 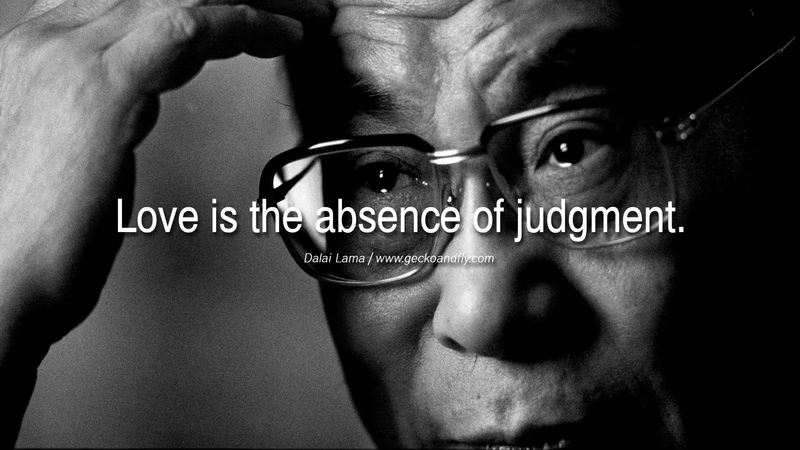 In the end, every one of us judges. Everywhere we go we make assumptions about people, and then they succeed in spite of our bias. Our regret comes in wishing we had shown them more care at a time when caring might have mattered to us both. Too late is too late. Bravo, my friend. I’m sorry I did you that tremendous disservice, and I’m more sorry the world didn’t benefit from having you as its champion for 40 more years. To read more of Colleen’s letters, click here! This entry was posted in Colleen and tagged friendship, guilt, judging, making assumptions, remorse. Bookmark the permalink.